Mawlana Jalaluddin Muhammad Rumi (Persian: جلال‌الدین محمد بلخى‎)‎ also known as Jalaluddin Muhammad Balkhi (Persian: جلال‌الدین محمد بلخى‎) (30 September 1207 – 17 December 1273), often known respectfully as Mawlana (“our Master”), is a thirteenth-century Persian Sufi saint, jurist, theologian, poet and one of the greatest spiritual masters of Islam. He was known as Rumi (“Roman”) because he spent most of his life in the region known by Muslims as “Rum,” the Anatolian peninsula most of which had been conquered by the Seljuq Turks after centuries of rule by the Roman Empire. He is acknowledged as the father of one of Islam’s major Sufi orders, the Mevlevi order although its actual inception came about through his disciples. He was also often referred to by the Persian title, Khodawandgar (“great Master”). c. 1247-8 Hazrat Shams disappears from Konya forever. At least two trips to Syria in search of Hazrat Shams. Mawlana Rumi chooses Hazrat Salahuddin Zarkub as his successor. Mawlana was born on 30 September 1207 AD. Originally it was thought he was born in Balkh, in the province of Khorasan in northern Persia (now Afghanistan). However, recent scholarship suggests that at the time of his birth, his father is said to have been living some 250km north-east of Balkh, in the small town of Wakhsh, situated in modern Tajikistan, where his father lived and worked as a jurist and preacher between 1204 and 1210. Hazrat Husain ibn Ahmad Khatibi, the grandfather of Mawlana, was a great scholar, and was considered a great spiritual leader not only by learned men but also by contemporary rulers so much so that he is said to have married Malika-i-Jahan, the only daughter of the Sultan of Khwarizmshah, Sultan Alauddin Muhammad. This relationship is rejected by some modern scholars. His marriage to the princess had been foretold in the dreams of four people – Himself, the Sultan of Khwarizmshah, the princess and his vizier – in which each was told by the Prophet ﷺ that Hazrat Husain ibn Ahmad should marry the princess. Nine months after their marriage, they had a son whom they named Bahauddin. Mawlana’s father, Hazrat Bahauddin Walad, inherited the traditions of his father in the realm of knowledge and spiritual eminence. He was acknowledged as a man of deep learning and bore the title of Sultan-ul-Ulama (King of Scholars) and is also said to have been a descendant of Abu Bakr , the First Caliph and close companion of the Prophet  although some scholars disagree with this. I obliterated myself, stripping myself of all forms so that I could see God. I told myself I would obliterate God and strip God of all forms to see God and attain His blessings more immediately. I chanted ‘God’ and my consciousness joined to God and I saw God, in the guise of His Godhead and the attributes of perfection. Much of Mawlana’s formative years were spent traveling with his family. After his birth, the family left Khorasan and lived in various Middle Eastern cities for about a decade. Various explanations are given for the family’s departure from Khorasan. Some say Hazrat Bahauddin left because of a premonition about the impending Mongol invasion, which devastated much of the area, whilst others say his departure was due to the hostility of Fakhruddin Razi, the philosopher and influential courtier of the Khwarizmshah. At the time that Hazrat Bahauddin emigrated westwards, his family consisted of a daughter, Fatima Khatun, an eldest son, Husayn, both of whom probably stayed behind in Khorasan, along with Hazrat Bahauddin’s elderly mother. The family members he took with him included his wife, Mu’mine Khatun, and two sons, Hazrat Jalaluddin and Alauddin. Hazrat Jalaluddin’s brother was the elder of the two by two years, having been born in 1205. My brethren, to jump from terrace to terrace is an act well adapted for cats, dogs and the like to perform; come now, if you feel disposed, let us spring up to the heavens, and visit the regions of God’s realm. From Khorasan, the travellers journeyed on to Baghdad, where it is suggested they arrived in 1217 and stayed for about one month, where he was received by the great Sufi shaykh Shahabuddin al-Suhrawardi of the Suhrawardi tariqa. In Baghdad, Hazrat Bahauddin turned down the Caliph’s gift of money, citing it was money unlawfully acquired and refused to visit him, although he did accept an invitation to preach in his presence in the congregational mosque. During the Friday sermon, Hazrat Bahauddin reproached the Caliph for his corrupt way of life, warning him of his impending end in the forthcoming Mongol invasion. Before the family left Baghdad, news was received of the siege of Balkh, where the Mongol army had captured and destroyed the ancient centre of learning. From Baghdad, Mawlana went to Syria with his father, visiting Damascus and Aleppo before undertaking the pilgrimage to Mecca. The family arrived at Aqshahr, near Erzincan (on the upper reaches of the Euphrates) in eastern Anatolia, between late 1217 and early 1218 . There Hazrat Bahauddin is said to have taught for four years in a college (madrasah) built for him by the wife of Fakhruddin Bahramshah, the local ruler and a great patron of learning. From Aqshahr, the party went to Larinda, which was situated in the central Anatolian province of Rum (the “Roman land” from which the name Rumi is derived from). The family remained there for about seven years, during which time Hazrat Bahauddin taught in the madrasah under the patronage of Amir Musa, the local governer. The period in Laranda was also marked by two deaths, a marriage, and two births in the family. Hazrat Alauddin, the elder brother of Mawlana Rumi and Mu’mine Khatun, his mother, both died. At the age of 17, Mawlana married Gowher Khatun, the daughter of Sharfuddin of Samarqand and, in due course, Mawlana’s wife gave birth to two sons – Alauddin, named after his recently deceased older brother, and Sultan Walad, who was named in honour of his grandfather. The two boys were born about a year apart. While in Laranda, Hazrat Bahauddin received an invitation from the Seljuq ruler, Alauddin Kayqubad, to teach in Konya, where the family settled in 1229 when Mawlana Rumi was 22 of age. Hazrat Bahauddin evidently intended Mawlana Rumi to succeed him as mufti (preacher) and he introduced him to his congregation and students and gave him the opportunity to preach. Hazrat Bahauddin taught in the madrasah in Konya until his death, two years later, in February 1231 when he was about 80 years old. Mawlana Rumi’s father had appointed his own trusted disciple, Hazrat Burhanuddin Muhaqqiq al-Tirmidhi, as a tutor responsible for his son’s education during his infancy. A year after the death of Hazrat Bahauddin, Hazrat Burhanuddin arrived in Konya, unaware of the fact that his Master had passed away. Having had lost his teacher, Hazrat Burhanuddin was reunited with Mawlana Rumi and assumed a role that he had had some nineteen or so years previously when he had been tutor to the infant Mawlana Rumi, this time being placed in charge of Mawlana Rumi’s spiritual education. And become the light incarnate like Burhan Muhaqqiq. When you say, ‘I am a slave,’ you become a king. Hazrat Burhanuddin sent Mawlana Rumi to Halab (Aleppo), where studied at Madrassa Halawiyya (a college of the Ḥanafi school of Sunni Islamic law) and then to Damascus in order to further his studies. These two places were the most important centres of Islamic learning during the thirteenth century and managed to remain immune from the destruction of the Mongols. During his stay in Syria, Mawlana Rumi pursued a traditional course of religious studies, including Fiqh, Tafsir, Arabic language and literature, Hadith and theology. Mawlana Rumi also began to study and deeply treasure his father’s spiritual journal, absorbing its mystical accounts, as well as the spiritual notebooks and Quran Tafasir (commentaries) of Hazrat Burhanuddin. Hazrat Burhanuddin then directed Mawlana Rumi to start his mission of assisting and preaching to those who had gone astray in Konya, while he himself resumed preaching duties in Kayseri until he later passed away in 1241. Thus, Mawlana Rumi became a fully-fledged successor to his father. Not long after Mawlana’s return to Konya, in 1242 or 1243, his wife Gowhar Khatun passed away. Between 1240 and 1245, Mawlana’s teenage sons went to Damascus to acquire an education like their father’s, under the protection of their maternal grandfather, Hazrat Sharfuddin. After they returned, Hazrat Sultan Walad would sometimes sit near his father during his lectures and people would mistake them for brothers, rather than father and son, on account of their relatively small age difference. Mawlana was later remarried to a widow named Kerra Khatun (d.1292) with whom he had a third son, Muzaffar al-Din Amir Alim Chelebi (d.1277), and a daughter, Malika Khatun (d. 1303-1306). In Konya, Mawlana Rumi took over his father’s old position as teacher in the madrasah. His life was the life of a learned orthodox professor addressing vast audiences, consisting of both men and women, on religion, philosophy, Islamic law and morals. He had attained a reputation for profound knowledge and was recognised as an authority on religion by the age of 34. I implored God to allow to mix with and be a companion of His friends (awliya-ye khwod). I had a dream and was told, “We will make you a companion of a saint.” I asked, “Where is this saint?” The next night I was told in a dream, “He is in Anatolia (Rum).” After a while, I had another dream and was told, “It’s not yet time. All things come in the fullness of time. An exchange ensued between the two men, with Mawlana Rumi finally saying that Hazrat Bayazid’s spiritual thirst was quenched after one drink, he spoke of being full and so he stopped seeking. However, the Prophet’s ﷺ thirst was never quenched and he went on seeking, aspiring to be drawn closer to the Divine. It was for this reason that he said, ‘We have not known Thee as Thou ought to be known.’ Hearing this, it was Hazrat Shams that fainted. Rumi who was busy with his lecture must have been annoyed with such a silly interruption for the books were there for anybody to see, and on the face of it the question was both preposterous and irrelevant. It was, moreover, a breach of good manners for a student to interrupt the Master so insolently during the course of his lecture. Rumi, therefore, brushed the question aside by simply saying: ‘You don’t know,’ at which point the books caught fire. Bewildered and aghast Rumi looked about for an explanation of this phenomenon. ‘What is this?’ he asked, turning his face towards the newcomer who simply repeated Rumi’s own words, ‘You don’t know!’ and quietly walked away. Rumi left his lecture, and, according to Abdul Qadir, went in search of Shams but could not trace him. The two were inseparable, day and night and it is said that the two spent days, even months, together in a state of mystical communion. Mawlana Rumi’s old life fell away and he neglected his duties as a teacher and as a family man. Hazrat Shams introduced Mawlana to sama, the meditational practice of whirling and the two spent long hours at the sama. Mawlana Rumi was overwhelmed by the very presence of Hazrat Shams. The encounter with Shams triggered the completion of a paradigm shift in Rumi’s approach to piety and spirituality; he discovered that beyond the safe, dry and socially approved forms of obedience (prayer, sermonizing, discovering and applying the principles of law) and renunciation ( fasting, controlling the passions and the ego), there is a meta-spirituality of love, which consists in joyously and creatively celebrating our relationship with God. a spirit of light drinks only wine of light. The sudden and total disappearance of Mawlana aroused resentment among his followers, some of them becoming highly critical of Hazrat Shams, even threatening him. In March of 1246, Hazrat Shams, perhaps sensing imminent danger, left Konya and went to Syria without warning. Some months later, news arrived that Hazrat Shams had been seen in Damascus and letters were sent asking him to return to Konya. Hazrat Shams, however, refused. Eventually he returned in April 1247 only after Hazrat Sultan Walad, Mawlana Rumi’s son, was sent to invite him back. Hazrat Shams was received back with joyous celebration and he and Mawlana Rumi returned to their intense discussions. After a while, by the end of 1247, Hazrat Shams was married to Kimia, a young woman who’d grown up in Mawlana Rumi’s household. Sadly, Kimia did not live long after the marriage and passed away upon falling ill after a stroll in the garden. In late 1247 or early 1248, ongoing enmity from some disciples compelled Hazrat Shams to depart again. In a conversation with Hazrat Sultan Walad, Hazrat Shams warned him that this time he would “disappear into thin air such that no one would find any trace of him”. Soon after, he disappeared permanently and although nobody knows for certain what came of Hazrat Shams, Ahmed Aflaki in Manaqib al-‘Arifin relates that he was murdered by disciples of Mawlana Rumi. The story, according to Aflaki, states that one evening in December of 1247, Mawlana Rumi and Hazrat Shams were together when there was a knock at the door and it was announced that a dervish who had travelled a long distance was asking to see Hazrat Shams. Hazrat Shams left the room and was never seen again. It is said that he was attacked and stabbed to death by a gang of assailants led by Mawlana Rumi’s son, Alauddin. Mawlana heard Hazrat Shams cry out, but by the time he arrived on the scene Hazrat Shams’ body had already been carried away into the night. This account has been challenged by other scholars as there were no witnesses to his apparent death. Furthermore, neither his son Hazrat Sultan Walad, nor his disciple Hazrat Sepahsalar mentioned a murder in their works that are earlier than Aflaki’s work. Since I’m him, for what do I search? Mawlana Rumi thus once again resumed his roles as teacher and author. What followed next was a period of refinement, during which Mawlana Rumi’s powers as poet and teacher soared to new heights. Following the disappearance of Hazrat Shams, Mawlana found a new spiritual companion in the form of a goldsmith called Hazrat Salahuddin Zarkub. Mawlana Rumi was already acquainted with Hazrat Salahuddin, who had come to Konya in 1235. He, like Mawlana himself, had previously been a disciple of Hazrat Burhanuddin Muhaqqiq; later he had gone back to his village and had married before returning to the capital where he was reunited with Mawlana. Tradition relates that when they met again, Hazrat Salahuddin was working in the goldsmiths’ market in Konya. As Mawlana was walking past Hazrat Salahuddin’s workshop, he, with his hammer was busy tapping away, molding a gold piece. The hammer’s rhythm caught Mawlana Rumi’s ear and he broke into ecstatic dance in a turning, whirling movement. Mawlana Rumi took Hazrat Salahuddin by the hand to whirl with him through the streets. From that moment, Hazrat Salahuddin became his close companion, although Mawlana’s relationship with him was less intense than with Shams. As Hazrat Salahuddin began to receive the singular attention from Mawlana that Hazrat Shams had enjoyed, Mawlana’s disciples once again became resentful — even more so since Hazrat Salahuddin, unlike Hazrat Shams, was not yet a respected teacher. At this point, Mawlana was no longer inclined to play the role of sheikh himself and therefore needed someone else to take over this role. Thus, he appointed Hazrat Salahuddin as his successor (khalifa) and he competently served as Mawlana’s deputy, overseeing the organization and discipline of the Master’s close followers. Furthermore, Mawlana recommended that his son, Hazrat Sultan Walad, accept Hazrat Salahuddin as his Sufi sheikh and he arranged for his son to marry Hazrat Salahuddin’s daughter, Fatima, which further strengthened the bond between the two men. Mawlana loved his daughter-in-law tenderly and his letters to her are those of a loving father and caring parent. After the troubles with certain disciples was smoothed over, Hazrat Salahuddin and Mawlana Rumi lived happily amongst the disciples, teaching and training them for a period of ten years until 1258 when Hazrat Salahuddin fell ill and passed away. Intoxicated, joyful, clap your hands! While Hazrat Salahuddin was still alive, another close disciple of Mawlana Rumi’s rose to a position of prominence within the Sufi community – Hazrat Husamuddin Chelebi, who had first met Rumi while a young boy and was still in his teens when he became one of his disciples. After the demise of Hazrat Salahuddin, Hazrat Husamuddin rose to the position of khalifah and became Mawlana’s constant companion. He was frequently referred to by Mawlana as Zia al-Haq (“The Light of Truth”). Hazrat Husamuddin served as Mawlana Rumi’s scribe and it was at his request that Mawlana composed a short poem for the benefit of his close followers. Eighteen verses long, this poem – now known as the Song of the Reed – was destined to become the opening of the Mathnawi, for when Mawlana Rumi presented it to Hazrat Husamuddin he said, “From now on I will recite, and you will write the rest”. The dictation of ‘the rest’, which extends to six books, probably began in 1262 and, apart from one or two interruptions, continued until 1273. He wrote down the verses bursting from Mawlana’s frequent states of ecstasy and the spiritual power of Mawlana’s verses often put Hazrat Husamuddin himself into ecstatic states. He would quickly write down what Mawlana Rumi composed and would sing back what he had recorded for Mawlana’s confirmation and approval. This would sometimes last throughout the night. Hazrat Husamuddin repeatedly reviewed what had been written, correcting various words and amending the syntax. While dictating the Mathnawi to Hazrat Husamuddin, Mawlana Rumi continued his teaching and social activities. He rarely left Konya during his final years, other than journeying to the hot springs in Ilgin once a year. For me, this is the time of joyful meeting! On 17 December 1273 (5 Jumada al-Thani, 672 AH) at sunset, at the age of 66, Mawlana Rumi left this world and was reunited with his Lord, an occasion which is referred to by his followers as his ‘wedding night’, or ‘night of union’. That evening, preparations for the burial were made and the following day, his body was lifted up on a bier and carried through the city. Mawlana Rumi was mourned by the entire city of Konya, and his funeral was attended by people of all ages, races and religions: men, women and children; Turks, Greeks, and Arabs; Muslims, Jews and Christians. “He was our Jesus!” – thus the Christians spoke. Mawlana Rumi’s tomb in Konya, Turkey. I’m consumed by the cares of this world. In the centuries since, Mawlana Rumi’s tomb has been visited by people from all walks of life, Muslim and non-Muslim alike. During the reign of Suleiman the Magnificent (d.1566), the semahane (a ceremonial hall where the sama or ‘whirling’ meditation is carried out) was built adjoining Mawlana Rumi’s mausoleum, which is also the burial place of his father and other successors of the Mevlevi Order. It was Mawlana Rumi’s wish that Hazrat Husamuddin be his spiritual successor (khalifa). Hazrat Husamuddin remained at the helm of the Mevlevi community until he passed away, guiding it according to the ideas and principles of its late master. Every Friday following the prayers and recitation of the Quran, Hazrat Husamuddin would hold readings of the Mathnavi and a undertake a session of sama, which would be attended by hundreds of disciples and other members of the Sufi community. When Hazrat Husamuddin died in 1284, he was succeeded by Mawlana Rumi’s son, Hazrat Sultan Walad, who was instrumental in founding and organising the the Mevlevi Order of Sufis. During his tenure, the wisdom and knowledge of the disciples increased, as did the number of both male and female initiates. In response to the growth and spread of the Mevlevi Order throughout Anatolia, khalifas were appointed by Hazrat Sultan Walad in each city where there were a sizeable number of disciples. When he passed away in 1312, at the age of 86, the Mevlevi order was firmly shaped and was set to become one of the most influential orders in Anatolia. Mawlana Rumi’s mother tongue was Persian, but acquired knowledge of Arabic as a child while learning to read and recite the Qur’an. Following his family’s migration to Anatolia, he also learnt Turkish. His intimate knowledge of these languages is reflected in his writings, which although written mainly in Persian contain passages in Arabic and Turkish. His three major works are generally referred to as the Mathnawi, Divan-i Shams-i Tabrizi, and the Fihi Ma Fihi. Mathnavi or Mathnavi-i Ma’navi (Persian: مثنوی معنوی‎, meaning “Rhyming Couplets of Profound Spiritual Meaning”) was the result of Hazrat Husamuddin’s initial request for Mawlana Rumi to write a short ‘teaching’ poem. It takes the form of an extended poem, 25,577 verses long, and comprises six books, each with a prose introduction. 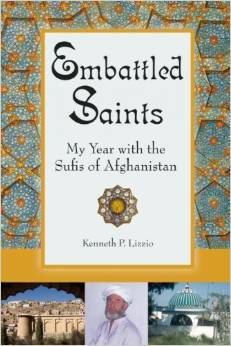 It is an exceptional work, not only in length but also in style and content, for it blends traditional tales, parables, anecdotes and legends about the Sufi saints with stories about the prophets, and commentaries on the Prophetic Traditions and passages from the Qur’an. It is considered by many to be one of the greatest works of Sufi poetry. Divan-i Shams-i Tabrizi (Persian: دیوان شمس تبریزی‎, meaning “The Works of Shams Tabrizi”) is a collection of Mawlana Rumi’s lyrical poetry, much of which was written under the name of Shamsuddin of Tabriz. It comprises of 3,229 ghazals and qasidas (odes; 34,662 lines), 1,983 ruba’iyyat (quatrains; 7,932 lines) and 44 tarji-bands (1,698 lines). Most of the poems are in written in Persian, although there are also some in Arabic and a small number of mixed Persian/Greek poems. 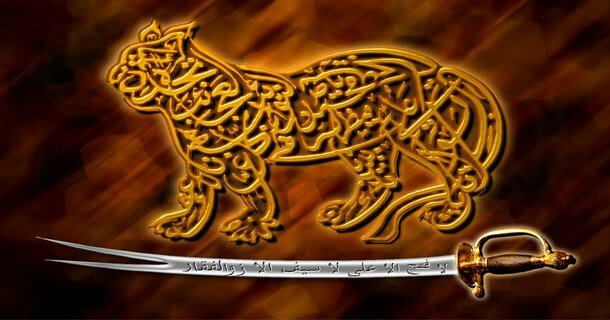 It is considered to be one of the greatest works of Persian literature. The poems in the Divan cover a span of almost thirty years, from shortly after Hazrat Shams’ arrival in Konya to Mawlana Rumi’s death in 1273. The poems are an impassioned celebration of the Divine Unity; or, perhaps more specifically, of love. Fihi Ma Fihi (Persian: فیه مافی, literally meaning “What’s in it is in it”) contains the transcripts of 72 short discourses given by Mawlana Rumi to his close followers, written in prose during the last years of his life. The discourses were written down by a scribe while the conversation was taking place, and may have been corrected later by Mawlana Rumi himself. Among the subjects of the discourses are the outer and inner worlds, duality and nonduality, the Sufi path to enlightenment, and the relationship between the pupil and his/her spiritual mentor. The discourses themselves are enlivened with anecdotes and stories, and in many instances they also incorporate rudimentary lessons in human and spiritual psychology. Makatib (Persian: مکاتیب, meaning “The Letters”) consists of 144 letters from Mawlana Rumi, most written from the 1240s onwards, to various officials and men of influence on behalf of family members, disciples and those in need. It demonstrates that Mawlana Rumi was very involved in the lives of those around him. Majalis-i Sab‘a (Persian: مجالس سبعه, meaning “Seven Sessions”) is a small booklet which contains seven of Mawlana Rumi’s public, formal sermons. The sermons give a commentary on the deeper meaning of Quran and Hadith. The sermons also include quotations from poets such as Hazrat Sana’i Ghaznavi, Hazrat Fariduddin Attar and others. The light of Muhammad ﷺ has become distributed in millions of pieces and has encompassed the whole world.The Prophet was like the lightening of that light. When it strikes, all veils of unbelief are torn, and thousands of monks are influenced by Muhammad and run toward him. When Muhammad’s ﷺ light came, unbelief put on its black clothes.When the period of the eternal kingdom came, the unbelievers hit the drum to prevent death. The whole face of the earth had become green. The heavens envied the earth and tore its sleeve. The moon had become split. The earth received life and became alive. Last night, there was a big commotion among the stars because a peerless star had descended to the earth. I am the servant of the Qur’an as long as I live. And I am the soil where the foot of Muhammad ﷺ stepped. There has never been a beauty like that of a (Prophet like) Muhammad ﷺ in this world or the next. May the Glory of God help him! We learned the skill of being a (true) man from God. We are the heroes of love and the companions of Muhammad ﷺ. Heart and love have become friends, like Ahmad ﷺ and Abu Bakr became friends in the cave. These two friends’ names were different, but their spirits were one. Because his heart was united with the ocean of truth. If the face of Muhammad is reflected on a wall, the heart of the wall will become alive.The wall, through his blessed reflection, will have such great happiness that even the wall will be rescued from hypocrisy. It was a shame for the wall to have two faces while the pious and the pure had only one. Was Rumi the Chief Architect of Islamism? “The Mawlawiyah Order – طریقه مولویه (known as Mevlevi, or Mevleviye in Turkey) – one of the most well-known of the Sufi Orders – was founded in 1273 by Rumi’s followers after his death, particularly his last deputy, Husamuddin Chelebi, and his son and successor, Sultan Walad in Konya, central Turkey from where they gradually spread throughout the Ottoman Empire. Today, the Mawlawīyah or Mevlevi Sufi Order can be found in many Turkish communities throughout the world, but the most active and famous places for their activity are still Konya and Istanbul in Turkey. The first successor in the leadership of Mevlevi Sufi Order was Rumi’s last deputy, Husamuddin Chalabi, after whose death in 1284 Rumi’s younger and only surviving son, Sultan Walad (died 1312), was installed as grand master of the Sufi Order. The leadership of the Order has been kept within Rumi’s family in Konya uninterruptedly since then. 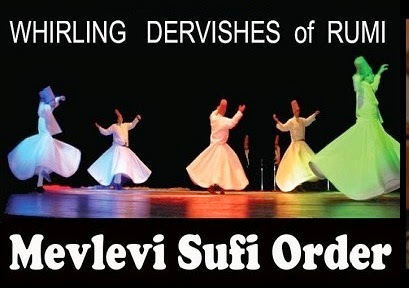 The Mevlevi Sufis, also known as Whirling Dervishes of Rumi, believe in performing their Zikr (Remembrance of God) in the form of Sema Sufi Whirling Dance. Dervish is a common term for an initiate of the Sufi path; the whirling is part of the formal Sema ceremony and the participants are properly known as Semazen or Whirlers. Rumi developed a form of combined mobile meditation, symbolism, and teaching which became the basis of the Mevlevi Dervishes, popularly called the Whirling Dervishes and also the Mawlawi Dervishes in the Muslim world. The participants enact the turning of the planets around the sun, a symbol of man linked to the center which is God, source of life, but it is also an internalized turning of the body toward the soul, likewise source of life. Rumi tried to map out a system in which sound, motion and one-pointed concentration of thought would lead to an end to the personal self and union with the Higher Self. the Sufi Dance of Whirling Dervishes is? and tasting eternity in non-existence. separating from Self, and reaching God. and throwing it to the ground like a half-slain beast. and clearly seeing the Divine Light within.